‘U Turn’ is the new single from one of the first ladies of Gospel house, Dawn Tallman, who lends her stellar vocal talents to his powerful new release. The song is written by DDE’s newly formed songwriting team, Dewey Andrew Cioffi and BJ Nelson, aka DewBJoyful Productions. ‘U Turn’, inspired by a sermon, is a song about turning your life around and opting for a more positive path, as Dawn delivers the powerful message oozing with soul and conviction. A selection of mixes create a widespread appeal for dancefloors including a sublime deep vibe from Davidson Ospina, a soulful extravaganza from Josh Milan and a classy key workout from Menakeys! The Queen of Gospel energy Dawn Tallman was born and raised in Connecticut, who started singing in church from childhood. Later, she expanded her body of work into the R&B and dance scenes. Dawn’s voice and style have been compared to many great vocalists including Chaka Khan and Caron Wheeler, yet boasting a unique style. Her ear for harmonies along with placement of backgrounds and adlibs make her a producers dream and an audiences’ delight. 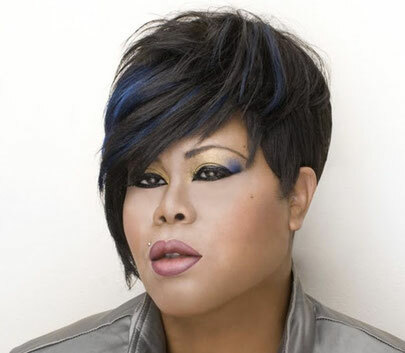 Dawn’s voice has blessed numerous chart topping singles such as ‘You Are Why’, ‘Joyful Noise’, ‘Save A Place On The Dancefloor’, ‘Conqueror’ and recently with ‘God’ from ‘Josh Milan’s Honeycomb Presents Vol 1’ album. 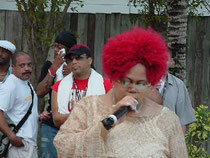 Dawn continues to travel and perform all over the world with her anointed vocal gift.